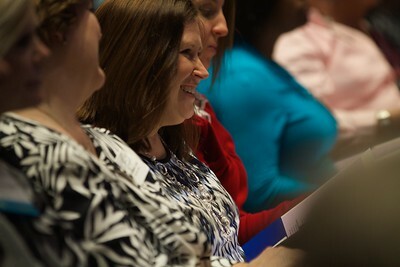 Nursing 50th Anniversary. 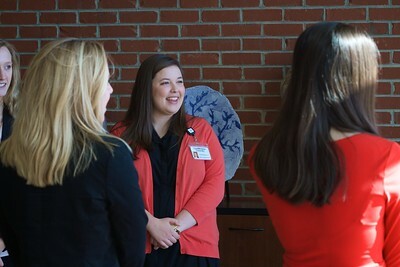 Current nursing students greeted visitors from throughout the region as they entered Gardner-Webb University's Tucker Student Center. 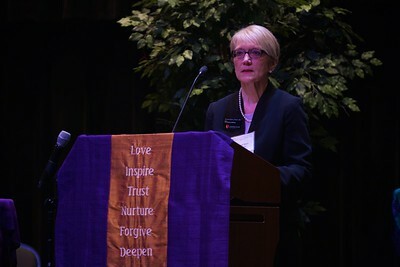 Nursing 50th Anniversary. 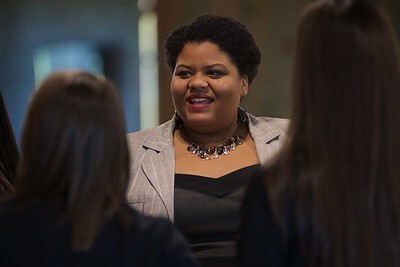 Dr. Quanza Mooring discusses the details of the day's event with students. 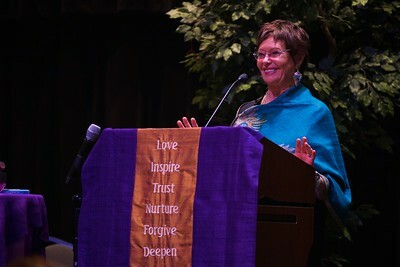 Nursing 50th Anniversary. 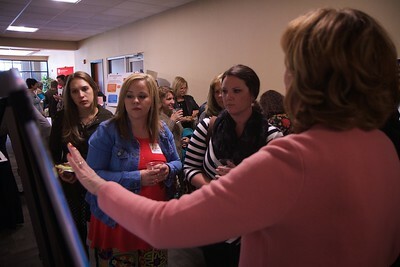 Dr. Sharon Starr greets visitors from throughout the region and discusses a brief history of the Nursing Program at Gardner-Webb. 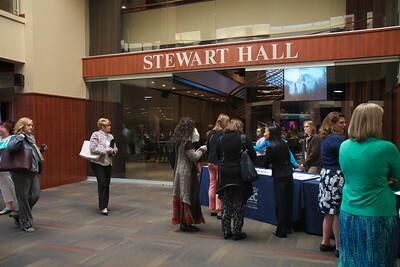 Nursing 50th Anniversary. 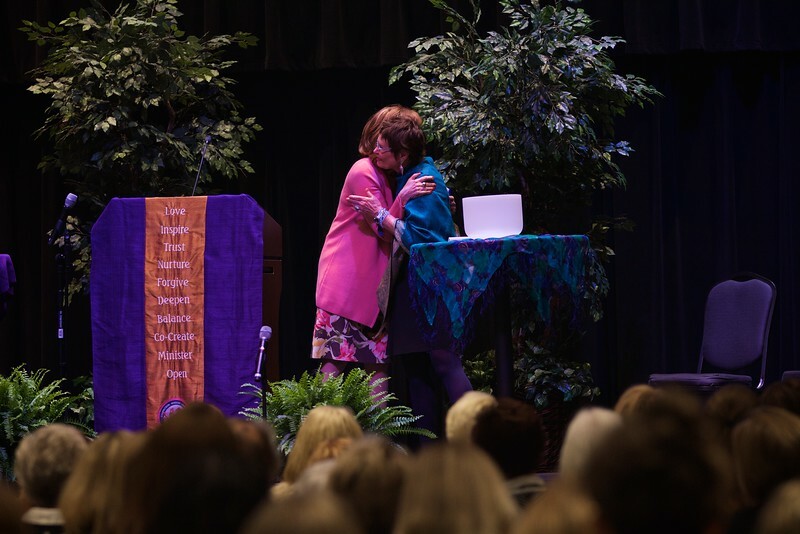 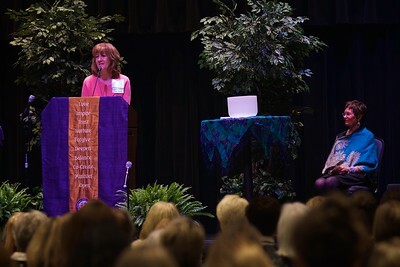 Regional professionals and community members listen to Jean Watson as she reminds the audience through a symposium titled, "Caring Science: Framework for Transformation of Self/System"
Nursing 50th Anniversary. 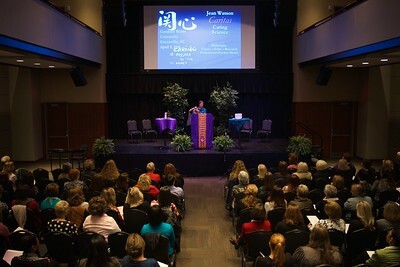 GWU Associate Professor in Nursing Gayle Casterline introduces her friend, colleague, and keynote speaker Jean Watson. 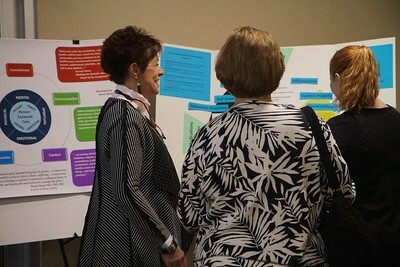 Nursing 50th Anniversary. 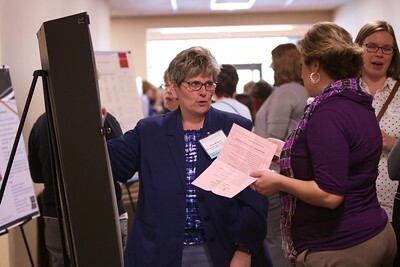 Jean Watson discusses "Caring Science: Framework for Transformation of Self/System"
Nursing 50th Anniversary. 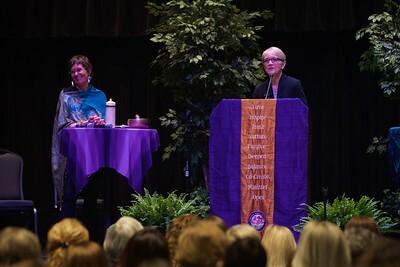 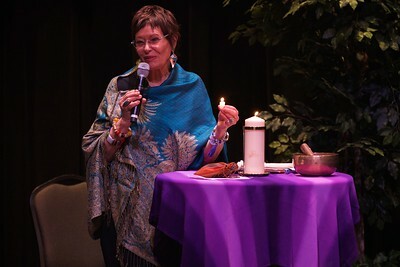 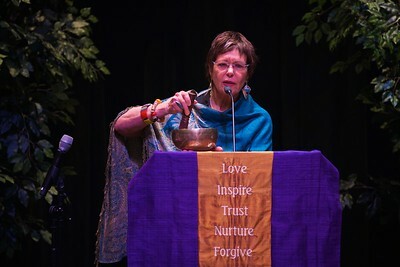 Jean Watson demonstrates Caritas philosophy as she connects with the audience using a singing bowl. 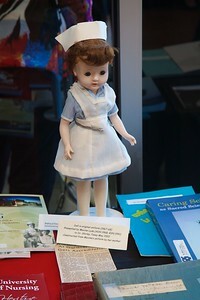 Nursing 50th Anniversary. 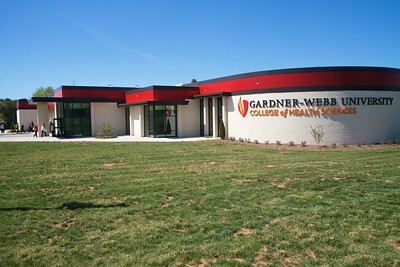 Jean Watson passes a world-traveled candle flame and light to the Gardner-Webb University nursing program. 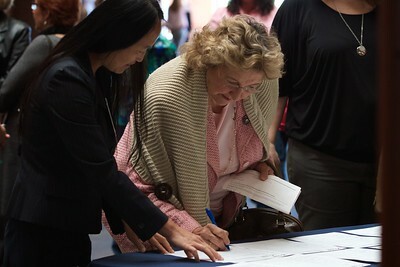 Nursing 50th Anniversary. 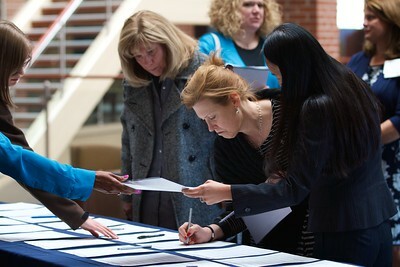 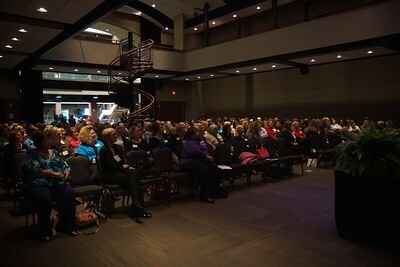 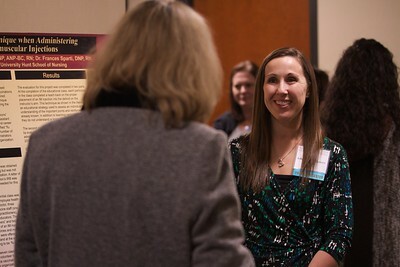 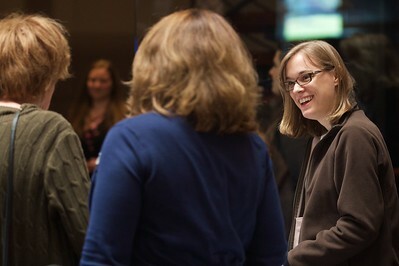 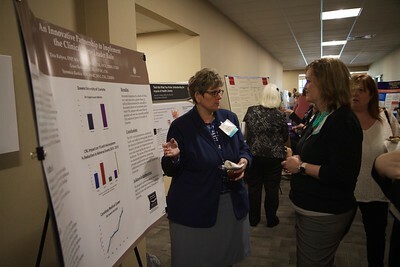 Symposium attendees traveled to the new Gardner-Webb University College of Health Sciences building to explore research projects and posters created by students and professionals in the nursing field. 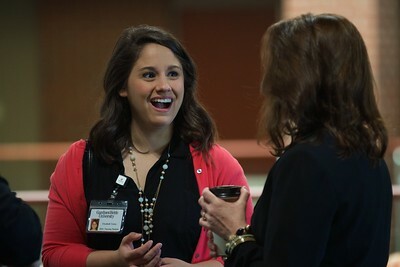 Nursing 50th Anniversary. 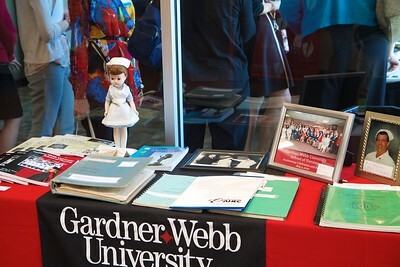 A commemorative table to celebrate the decades of nursing offerings at Gardner-Webb. 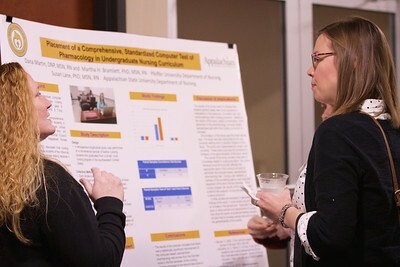 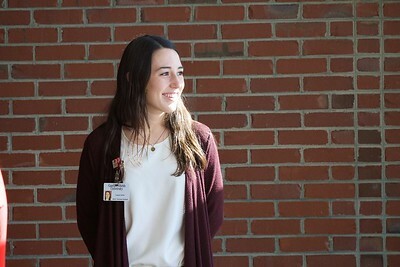 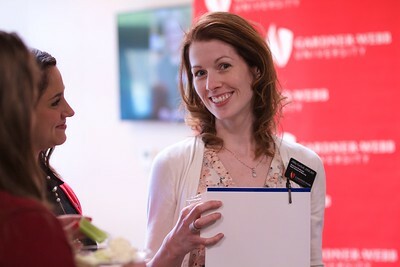 Nursing students and professionals were given a chance to present their research projects and findings to regional nursing and healthcare employees and community members during the 50th Anniversary of the Nursing Program at Gardner-Webb University.